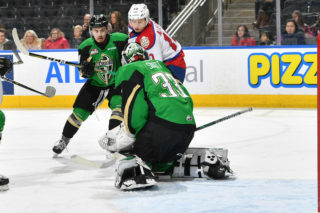 The Edmonton Oil Kings could not have asked for a better start to their three-in-three weekend. After claiming a convincing 5-1 victory over the Lethbridge Hurricanes on Friday night, the Oil Kings (23-14-4-3) outlasted another divisional rival, the Medicine Hat Tigers (23-16-2-2), by claiming a hard-fought, 2-1 overtime win in front of 2,983 fans at the Canalta Centre on Saturday night. Vince Loschiavo potted the game winner, and by doing so joined the 20-goal club for the second time in his WHL career. It was a tight game for all 60-plus minutes, as shots came at a premium with the Oil Kings being the only team to register double-digits in shots on goal in a period (15) doing so just once, during the second period of play. After a night off on Friday, Dylan Myskiw (17-9-2-2) returned to the Oil Kings crease and earned his 17th win of the season as he continues to set career bests in wins and saves, as well as goals against and save percentage. The Winnipeg, Manitoba native turned aside 20 of the 21 shots he faced while being named the game’s Second Star. 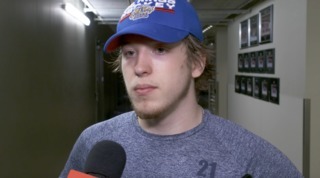 Mads Sogaard (10-4-2-2) took the loss, surrendering both Oil Kings goals on 34 shots. 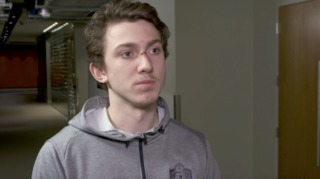 The storyline of the key divisional match-up was overshadowed only by the fact that the two teams were involved in a trade deadline deal just two days prior. 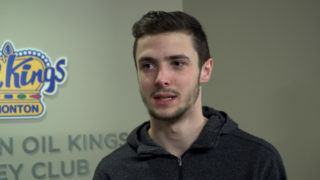 The game marked the first time Josh Williams and Brett Kemp would face their former teams, and the return of Williams to his former home rink. The Oil Kings improved their record to 3-0-0-0 vs. the Tigers this season, which gives the team a crucial two points in the Central Division standings. After wins by both the Lethbridge Hurricanes (54) and Red Deer Rebels (53) on Saturday, the Oil Kings sit third in the division (53) with Medicine Hat trailing by just three points (50). Tyler Preziuso was credited with opening the games scoring, giving the Tigers a 1-0 lead at 12:48 of the opening period, assisted by Linus Nassen and James Hamblin. It was the lone goal of the opening frame, which saw the Oil Kings outshoot the Tigers 9-6 in the first 20 minutes. At 11:19 it was David Kope who evened things up for Edmonton, as the 6-foot-4.5 winger tallied his ninth of the season, from Andrew Fyten and Scott Atkinson, to make it a 1-1 game which is how the score would remain heading into the second intermission. 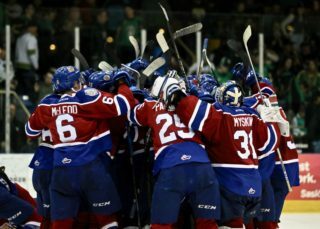 Shots on goal in the second period once again favoured the Oil Kings, 15-9, for a two-period total of 24-15. 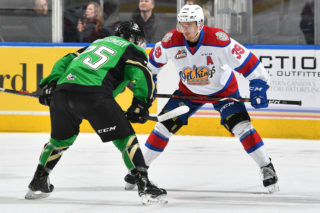 After a scoreless third period the game was off to overtime, where Loschiavo buried his 20th of the season to give the Oil Kings their 23rd victory of the campaign, from Carter Souch and Ethan Cap, at the 2:11 mark. Final shots on goal were 35-21 Edmonton, which included a 9-6 margin in the third period and a 2-0 edge in the 3-on-3 overtime. Medicine Hat was 0-for-8 on the power play while Edmonton finished the night going 0-for-3 with the man advantage. Vince Loschiavo (EDM) (3), Dylan Myskiw (EDM) (2), and Mads Sogaard (MH) (1) were selected as the Three Stars of the Game. Wyatt McLeod, Andrew Fyten and Ethan Cap each wore an “A” and skated as alternate captains to Trey Fix-Wolansky. The Oil Kings wrap up their 3-in-3 weekend when they host the Lethbridge Hurricanes tomorrow, January 13 at Rogers Place. The game was originally scheduled for 4:00 PM but is now a 5:00 PM start. The following home game for the Oil Kings will take place on Saturday, January 19 when the Calgary Hitmen come to town for a 1:30 PM MT start for the team’s second annual WHL Suits Up with Don Cherry to Promote Organ Donation initiative. The Oil Kings will don commemorative Don Cherry-inspired jerseys which will be silent auctioned during the game with proceeds supporting the Kidney Foundation of Canada. The game serves as the first half of a Battle of Alberta doubleheader at Rogers Place which afterwards sees the Edmonton Oilers host the Calgary Flames at 8:00 PM MT.